The IUCN World Conservation Congress is in full swing here in Honolulu, Hawaii. Thousands of conservation scientists have gathered at Hawaii Convention Center to exchange ideas and learn how to better save the natural world. 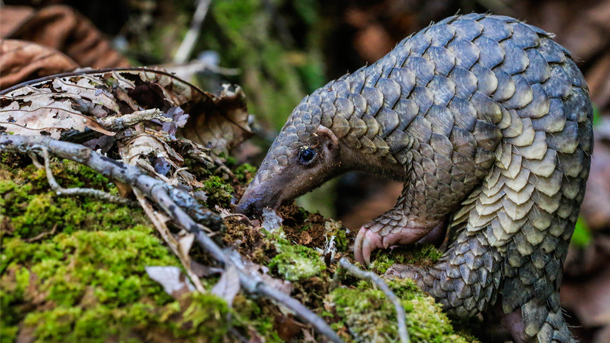 Today, IFAW sponsored and hosted a panel titled Pangolins in Peril: How to save the most illegally traded mammal in the world along with partner groups NRDC, Freeland, and HSI. The panel featured engaging conversation from pangolin experts from around the world, including our own IFAW North American Regional Director: Jeff Flocken. These scientists and experts have dedicated their lives to protecting one of the world’s most exotic and amazing animals and their words inspiring to say the least. I sat down with two of the experts – Thai Van Nguyen, Executive Director of Vietnam Saves Wildlife, and Darren Pietersen, Vice-Chairman of the African Pangolin Working Group – to ask them some questions about pangolins and their experiences with them. How did you first get into working with pangolins and what makes them so special? *TVN: I first saw the pangolin when I was only an eight year old boy. 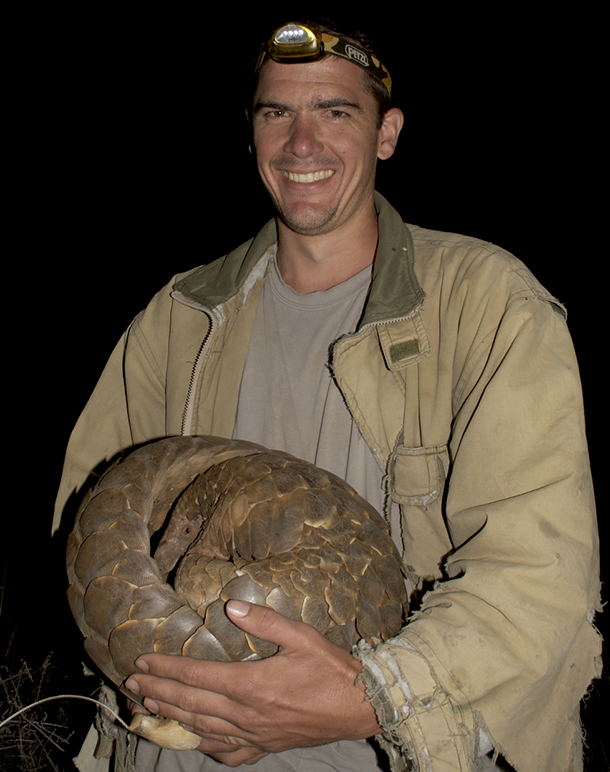 I started working with pangolins to save them in 2005 and have continued since then. Pangolins are special to me because they are the world's only mammals covered by scales, and they have no predators except people. They do not do anything harm to us, but people are the reason why they are faced with extinction. There is a distinct lack of knowledge about pangolins and they may be extinct before many people will have even heard about them. This makes me feel that I have to do something to help them. DP: My work with pangolins really started when, as a university student, I conducted an ecological study on Temminck's Ground Pangolin. Since the conclusion of that study I've remained active in the pangolin research and conservation field, predominantly as a supervisor to other students who have conducted research on a range of topics including determining the factors that govern the distribution of pangolins, the genetics of pangolins and diseases in pangolins. Over and above the fact that pangolins are the only mammals that are protected by scales, it's their mystique that really draws me. Certainly in most parts of Africa pangolins are rarely seen, and only a few people have ever tried to study them. It's this 'great unknown', the possibility to study something new and the challenge of studying such a unique and mythical creature that really draws me. And of late it's the plight of pangolins that has really grabbed me - the very real possibility that we as humans may drive a group of mammals that we hardly even know yet, to extinction. What are the most pressing threats to pangolins in your region? *TVN: Both habitat degradation and demand for pangolin products is driving pangolin loss in Asia. Pangolin meat is considered an exotic and expensive dish and their scales are used by certain communities in traditional medicine. DP: To a degree, this varies regionally. An estimated 377–1,028 pangolins are accidentally electrocuted on the lowest electrified wires of game and livestock fences in South Africa annually, and this number is increasing as more livestock farmers are erecting electric fences to try and control the movements of carnivores. It is estimated that about 280 pangolins are killed annually while crossing roads in South Africa. However, the level of local trade in South Africa is unknown, but is substantial, and both the local and international trade are posing an increasing risk to pangolins in southern Africa. Across Africa as a whole, the consumption of pangolins as bushmeat and their use in Traditional African Medicine was the largest threat. However, the international trade is rapidly replacing the local trade as the main threat as communities are realizing the economic value of pangolins. Habitat loss and degradation is also a big threat to all four African pangolin species. What needs to be done first and foremost in order to save pangolins? *TVN: We need to improve the law and enforcement to combat illegal trades and return confiscated pangolins back into the wild. We need to improve habitat protection and focus on protecting a “stronghold” for each species. It is also extremely important to raise awareness and change behavior to reduce the demand of pangolin products. Finally, we need to fund research to improve understanding of the conservation requirements for wild populations. DP: I believe that a multi-faceted approach is required if we are to save pangolins from extinction. Firstly, we need to raise awareness about pangolins and their plight, as in the end people will not save something that they do not know. We need to investigate ways of reducing the demand for pangolins in both Asia and Africa, where they feature prominently in both the traditional medicine and culinary trades. We also need to support local NGOs and governments who are actively trying to protect pangolins and other species. Many range states are under-equipped, and in some cases may not know the best way of going about protecting pangolins, and by assisting them wherever possible we can better conserve pangolins and other wildlife species. I also believe that it is imperative to identify and implement multiple protected areas that protect each pangolin species. In most cases this will only be feasible if there is buy-in from the local populace, and this will only be achieved if they benefit from these protected areas. This is an issue that will likely require a lot of careful consideration, but it is definitely achievable. *TVN: Save Vietnam’s Wildlife (SVW) was founded as a non-profit organization in 2014, in response to a critical need for a more integrated approach to conserving Vietnam’s wildlife. Since 2014, we have had many accomplishments including the rescue of nearly 200 pangolins; a successful campaign to remove pangolin scales from the Vietnamese pharmaceutical benefits scheme; the establishment of Vietnam’s first dedicated pangolin and small carnivore education centre; training of over 100 wildlife enforcement officers; and surveying over 9,000 local Vietnamese citizens regarding pangolin consumption. DP: All of my research is conducted in association with the African Pangolin Working Group, which we established in 2011 to coordinate and implement pangolin research in Africa; raise awareness about pangolins and their plight, especially in Africa; and provide support to governments, law enforcement agencies and other NGOs involved in pangolin conservation. We have a number of active and planned research projects, details of which can be found on our webpage: pangolin.org.za. All eight species of pangolins are imperiled, but talking with the passionate people who are on the front lines saving pangolins gives me hope for animal. 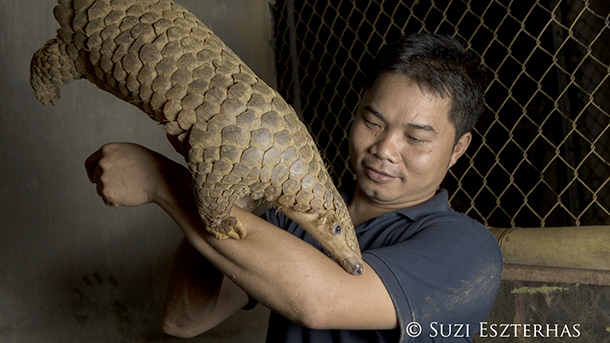 The IUCN passed earlier this week an IFAW-led motion to protect pangolins. There are a number of opportunities coming up for greater protections – including a recent petition to list pangolins as Endangered under the US Endangered Species Act and a suite of proposals for the CITES Conference of the Parties this fall, looking to give all pangolins the strongest protections possible from international commercial trade.